Drop in to play during any current play hours! No membership required. No appointment necessary. Come join us for Family Night! Every Friday night from 4-7pm and admission is only $7 per child. 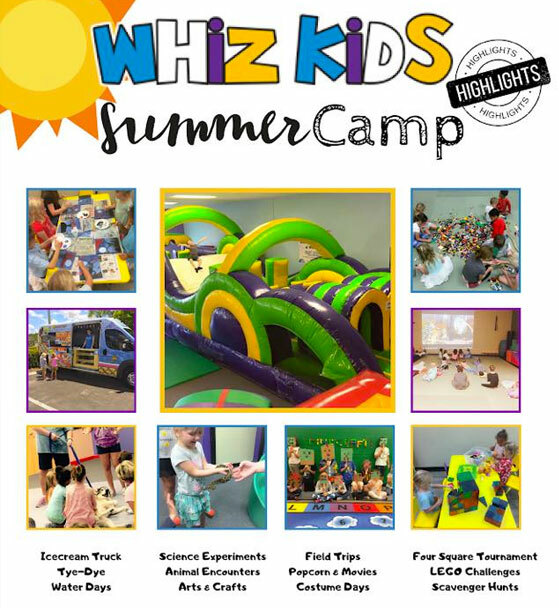 At our camps, we foster character development and promote kindness, friendships, and inclusion in a safe and fun environment where your children will learn, grow and create lasting memories! Join us for a CPR Certification Class 11am- 2pm at Whiz Kids! Remember to bring your socks! This event is open to the public, but must sign up in advance. Use the link posted to register. This event will cover infant, child, and adult CPR skills. The cost is $26 per person and includes an official CPR Certification. We are a SOCKS only facility! Remember to bring socks for the whole family.